Parents supporting their kids’ blogging goals should gain a basic understanding of blogging to both guide their budding authors and also help protect their safety online. The following fundamentals provide everything you need to know to help your child get started in the blogging world. The first step in creating a blog is choosing a blogging platform. All free blog platform sites require users to be at least 13 years of age. These standards are in place partly for the safety of your children; you should not ignore the age requirements. You can also choose to pay for a self-hosted site by purchasing a domain name and registering with a hosting service. If your child would like to blog but is younger than age 13, consider creating a family blog together. After your teen selects a blogging platform (with your guidance), it’s time to choose a site name. At this point, you should consider purchasing the related domain name or URL to not only protect your teen’s site name from being taken by someone else but also make sure that the name isn’t already in use. If you choose to self-host your teen’s website, you likely will also be able to register the site domain through your hosting service. Ask your teen to consider the following when selecting a domain name. Will the site name make it easy for readers to find? Does the name allow the blog to grow and change with your teen? Is the name appropriate for a site owned by a teen? Would they be okay with future employers and universities locating this site? Is the name unique and not too similar to existing blogs? If your child will be blogging on a self-hosted server (rather than a free blog platform), you will likely need to install WordPress, which is a free blogging tool and is the most popular blogging system. The next step in creating a blog is to select a blog theme, which is a template that determines the appearance of the blog as well as some blog features. All blogging platforms provide users with a selection of free themes from which to choose. Users may also elect to upload and use additional blog themes, some of which are free, and some are for purchase. Every blog theme requires users to select certain settings, including options such as allowing comments from readers. 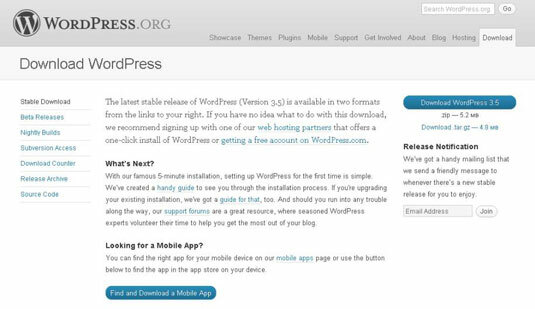 WordPress themes also allow for the installation of plug-ins, which are software that allows the site to perform specific abilities. After your teen sets up a basic blogging platform with a name and a theme, it’s time to create both pages and posts. A blog page is just a static location that typically contains information such as author biography, site purpose, and contact information. A blog post is a singular blog entry, much like a daily diary entry. Most blogs display blog posts chronologically, with most recent on top. A variety of free blogging platforms are available. Three of the most popular are WordPress.com, Blogger, and Tumblr. If you and your teen opt for one of these free hosting services, your teen will not technically own the blog nor the content they have written. Another option is to select a fee-based platform that’s not self-hosted. The most popular blog platform of this kind is Typepad, where you can select a plan ranging from about $9 to $30 per month. Typepad is very user friendly and provides a simple solution for bloggers just getting started who want to own their own content. However, more developers are creating tools for use with WordPress blogs than Typepad, making Typepad a somewhat more limited tool. The third option is to purchase a URL and a hosting plan from a third party, which you pay to host your site. Cost: Costs can range from completely free blogging platforms to completely self-hosted sites that require the purchase of everything from the URL to the hosting server. Features: Self-hosted sites provide the flexibility for users to install a full range of features through plug-ins and widgets. Widgets allow bloggers to add images and features to their sites without requiring an in-depth knowledge of blog code. Free blogging platforms provide fewer features to add. Customization options: Although you can modify the design of a blog hosted on any platform, it is much more difficult to do so on a site such as Blogger, which offers limited flexibility and requires the user to either have knowledge of coding — or hiring someone who does. Ease of use: Some bloggers prefer to have the option to highly customize their site, but with additional options comes additional complexity of use. Teens looking for most simple ease of use should consider a ready-made, free blogging platform with a limited selection of options. Know your child’s level of technical ability before selecting a blogging platform. If your teen chooses to self-host their blog, there are many website hosts from which to choose. Some of the most popular with bloggers include the following. HostGator: HostGator web-hosting plans begin at $3.96 per month. DreamHost: DreamHost offers monthly plans beginning at $8.95. Bluehost: Bluehost plans begin at $3.95 per month. GoDaddy: GoDaddy web-hosting pricing starts at $1 per month. 1&1: 1&1 web-hosting plans begin at $0.99 per month for the first 12 months.